Italy has been producing wines since Roman times. Like France, the country is divided into wine regions called Denominazione di Origine Controllata or Denominazione di Origine Controllata e Garantita (DOC or DOCG). 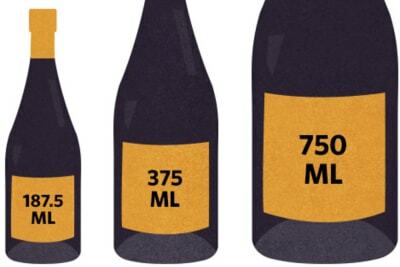 The wine can be named after the regions or the grapes so it can be confusing to the ordinary consumer. This long country, with high mountains and surrounded by water, has numerous different climatic zones. This, together with its some 300 native grape varieties, means that the wines are as diverse as the Italian cuisine. A common characteristic of Italian wine is its relatively high acidity and high tannin, making it very food-friendly. The high acidity cuts through any fat in the food and the tannin complements the texture of red meat. 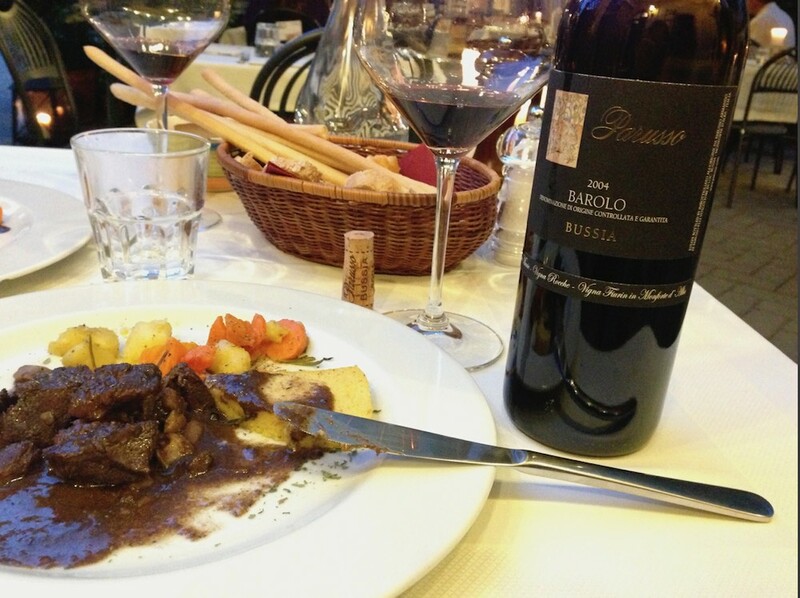 The most famous Italian wines are Barolo and Barbaresco from Piedmont in the north made from 100% Nebbiolo grapes. It is pale in colour with high tannin and acidity. The wine has good structure and concentration – a food wine that is perfect with robust flavour meat dishes. 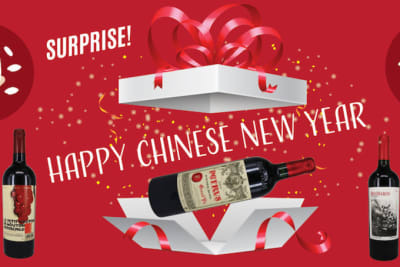 It is also a wine with ageing potential and will develop in bottle for a further 10-20 years. Save a few bottles if you can resist the temptation. The most popular are, however, wines from Tuscany - Chianti, Montalcino and Vino Nobile de Montepulciano made with Sangiovese grape. 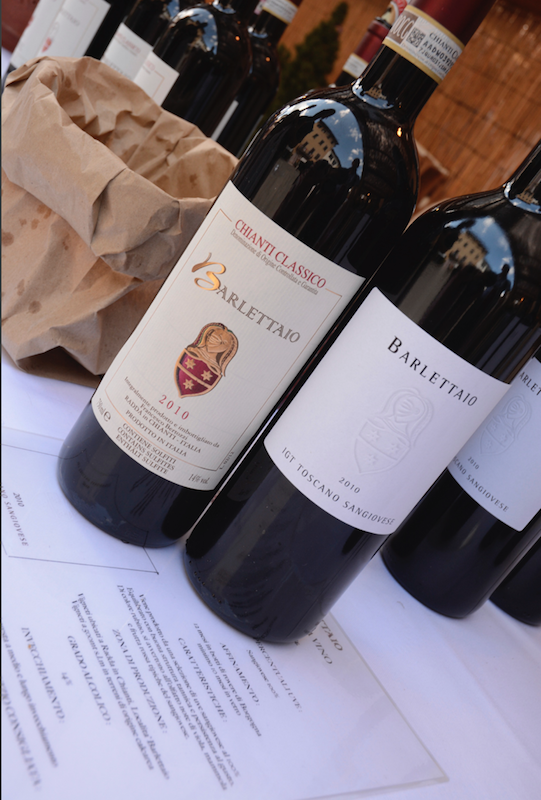 These wines are similar but lighter in style comparing to Barolo and Barbaresco, therefore can be interpreted as the younger brother. The entry level Chianti in a good happy hour drink accompanied with snacks, while the more complex ones are ideal with tomato-based dishes. 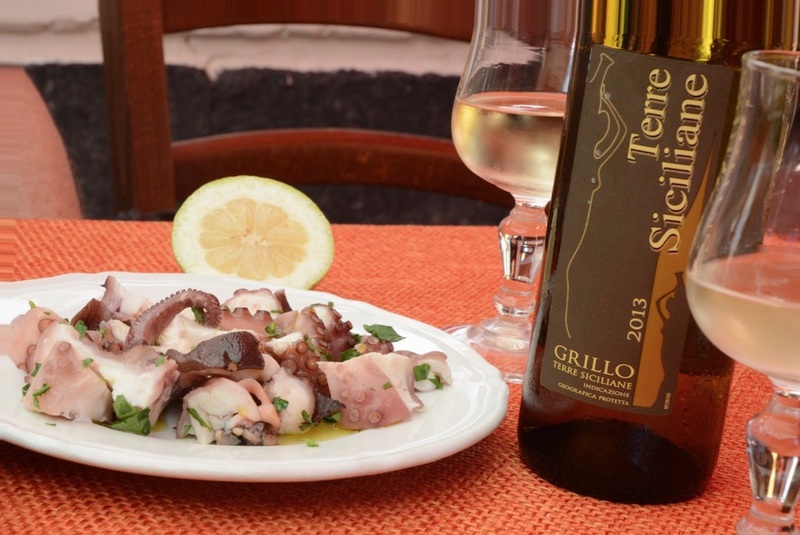 Southern Italy is hotter so naturally their wines are bigger and fuller bodied, but still supported by good acidity. The best wine is made from Aglianico grape, which is often referred to as ‘Barolo of the south’. Typical examples are Taurasi in Campania and Aglianico del Vulture in Basilicata. They have equally high tannins and acidity, and great structure as Barolo but are deeper in colour with more savoury notes. Both the tips of Italy, Alto Adige and Friuli in the north and the island of Sicily in the south offer good value wine: Pinot Bianco and Pinot Grigio (Pinot Blanc and Pinot Gris), Sauvignon Blanc are common in the north while Chardonnay, Cabernet Sauvignon, Syrah and Nero d’Avola can be found in the south. 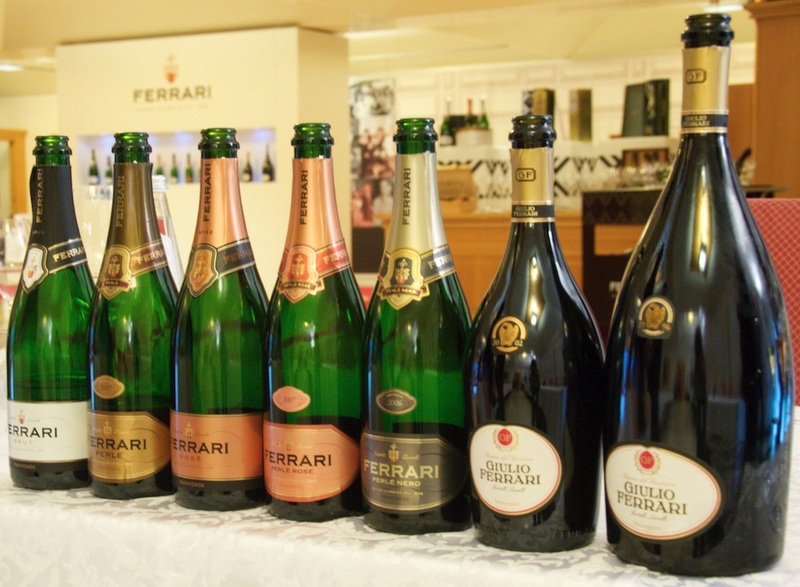 Italy has two sparkling wines: Franciacorta that can rival Champagne, and Prosecco, the trendy bubbles among young consumers. Prosecco is easy drinking with pear and flora aromas balanced by acidity and a hint of sweetness. Retailed at only just over $100/bottle, there is no reason why we can’t celebrate everyday with a glass of bubbles! This is only a snapshot of Italian wine. Each region has its own grape varieties that may not be found in other regions. Be adventurous and try these unknown grapes. 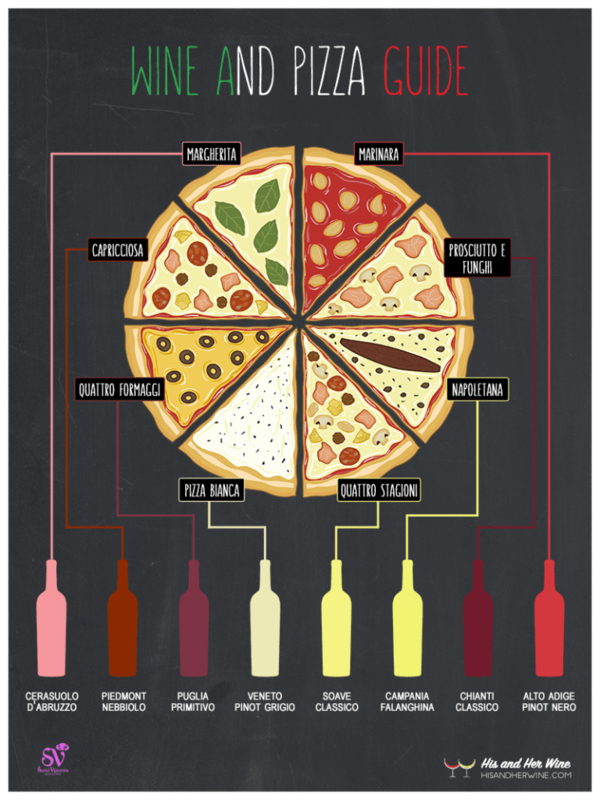 In fact, you can compare Italian wine with pizza. All pizzas have a broadly similar style but they can be very different depending on the toppings. You will enjoy exploring Italian wines just as much as you enjoy trying different pizzas! If you are interested in exploring Italian wine, join us at the first Italian wine and pizza evening. Early bird ticket at $160 until 8th July.